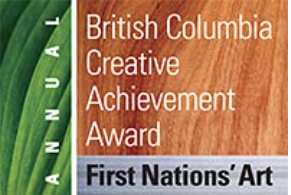 This past November 28, 2014, I received a BC Creative Achievement Award for First Nations Art. The event was held at the Sutton Palce hotel on Burrard Street in Vancouver, and the organization was kind enough to fly down my boyfriend as well for the event while also hosting all our other local guests to a nice lunch. I was so happy to have friends and family with me on that day! 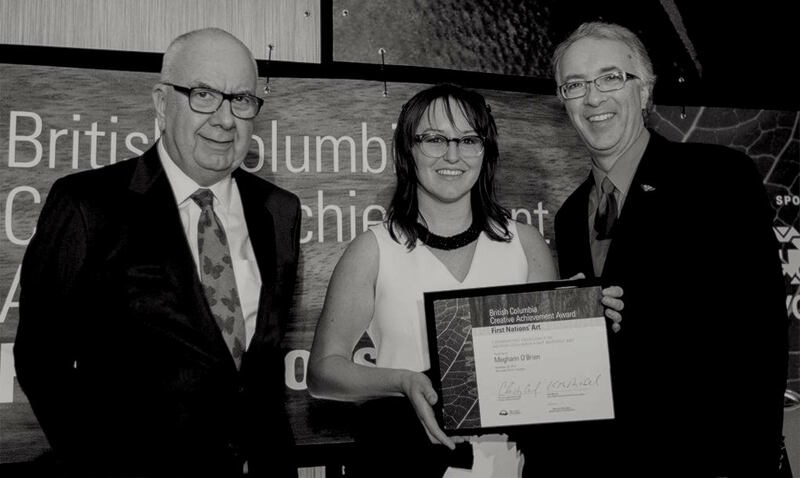 Along with Phillip Grey (Tsimshian), Thomas A. Cannell (Coast Salish), Bracken Hanuse Corlett (Kwakwaka’wakw), and Ben Davidson (Haida), I was honoured to accept this recognition. Alvin Mack also (Nuxalk) received the Lifetime Creative Achievement award. Hearing his words I could sense the passion he has for teaching the next generation in a humble and generous way. I wouldn’t have thought receiving an award could make me feel so good! But it really is strong encouragement to keep going with the path I’m on. I consider myself to already be fully dedicated to what I’m doing, but I didn’t expect it to give me such a positive boost, to get together and celebrate with all those people who have helped me along the way, and be recognized alongside such incredible artists from our culture. 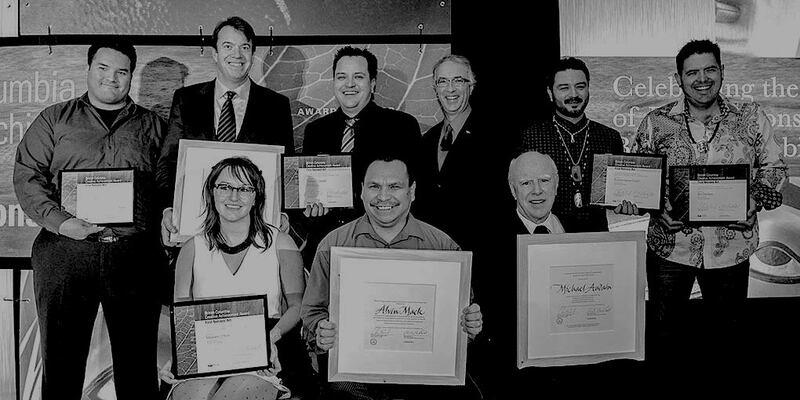 My teacher, William White, was among those to receive the honour during it’s first year, in 2007. It feels good to follow in his footsteps and move forward with my generation in a way that honours what has been passed on. Thank you in particular to Gary Wyatt for the nomination and continued support. The following link is for the short film put together by the organization for the event.